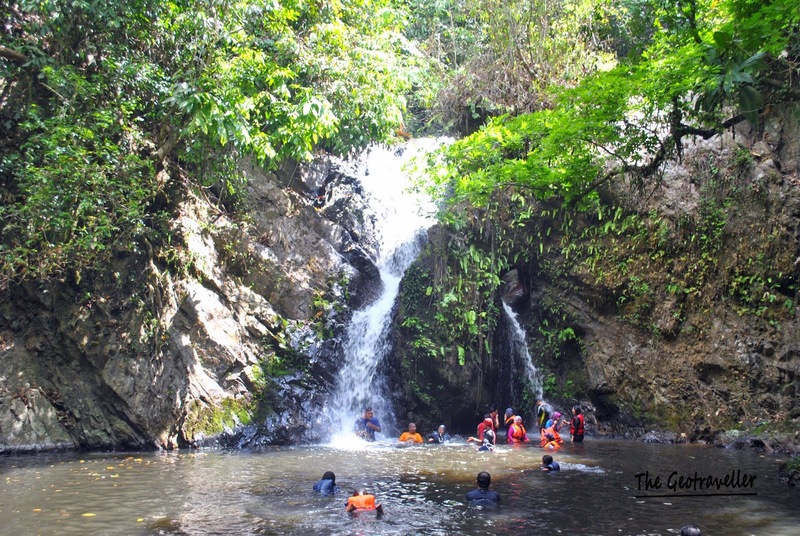 On the 28th and 29th of March 2015, we visited Royal Belum. More like a weekend getaway but I was very excited to be there. I have heard about it many times and finally I got the opportunity to actually be there. We reached the jetty at 1pm and hopped straight away on the boat house. 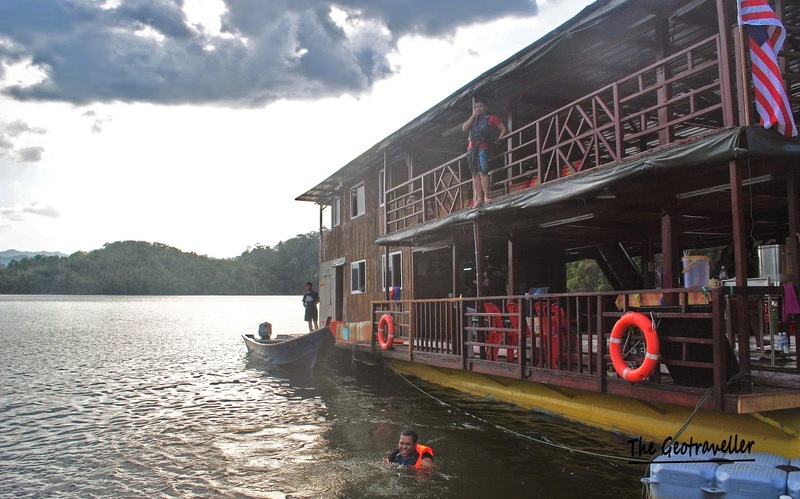 The boat house sailed immediately to the first location which is rafflesia breeding ground. 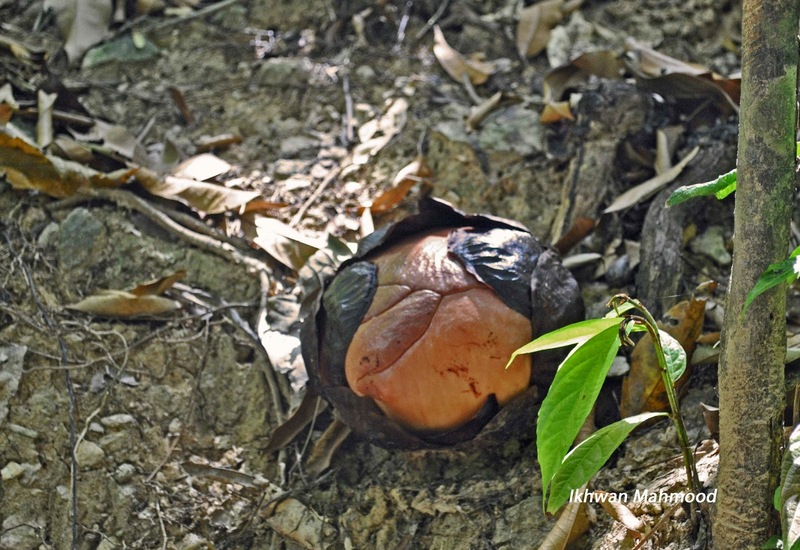 We were told that we were quite lucky to see a blooming rafflesia. Though I was soo hungry, at least witnessing rafflesia made me forget about it. FYI, the rafflesia doesn’t smell a bit but do be careful because it could die once we touch the flower. So control your eagerness. The view towards our planned anchoring position. The size of the forest is said to be as big as Singapore. 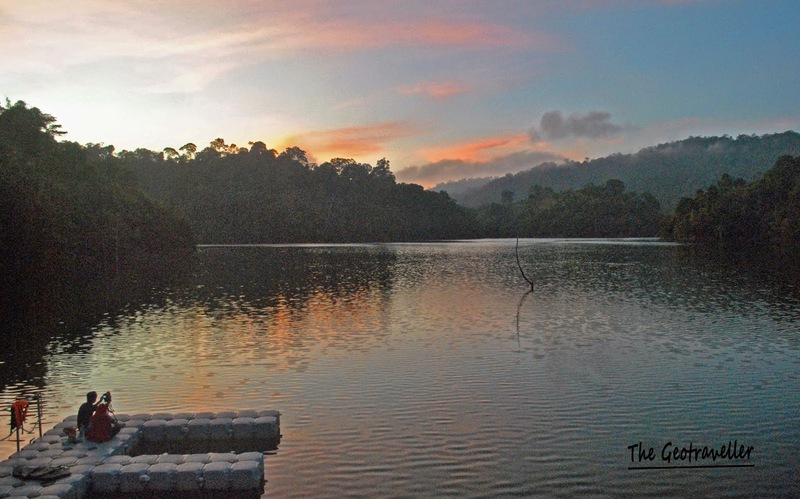 However, some area were used for logging and Royal Belum is gazetted as the reserve. 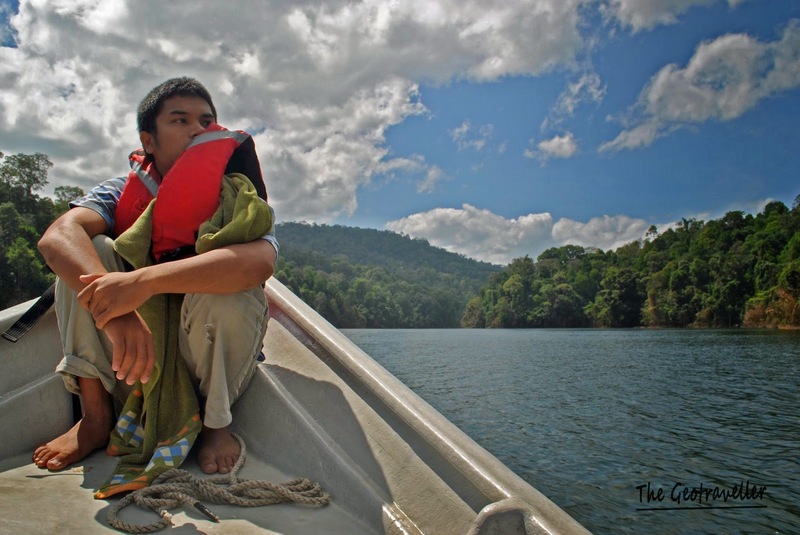 We were there during dry season, so the lake’s water level is quite high but why? 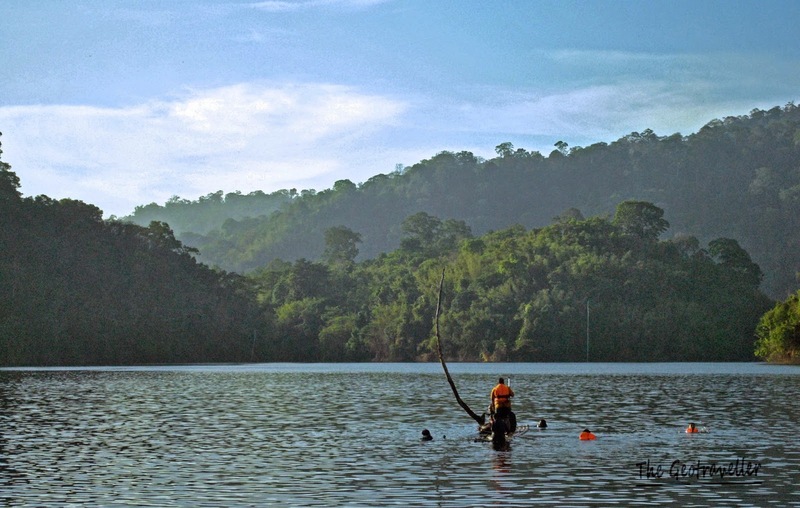 According to the guide, Energy Department (TNB) releases water to this lake during dry season to maintain the potential energy to generate electricity. 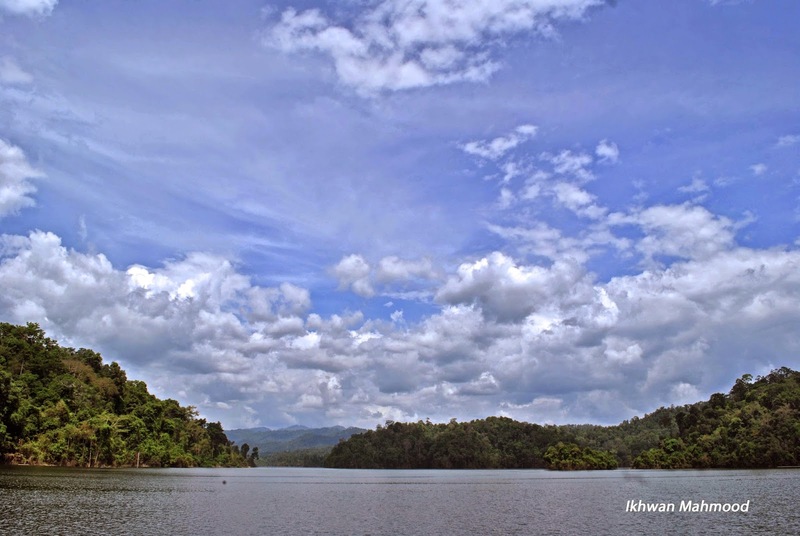 During wet season, (TNB) releases water from this lake to avoid overflowing. How cool is that! Water confident test. But I was more worried about the color of the water. I was worried that big fish could swallow me. 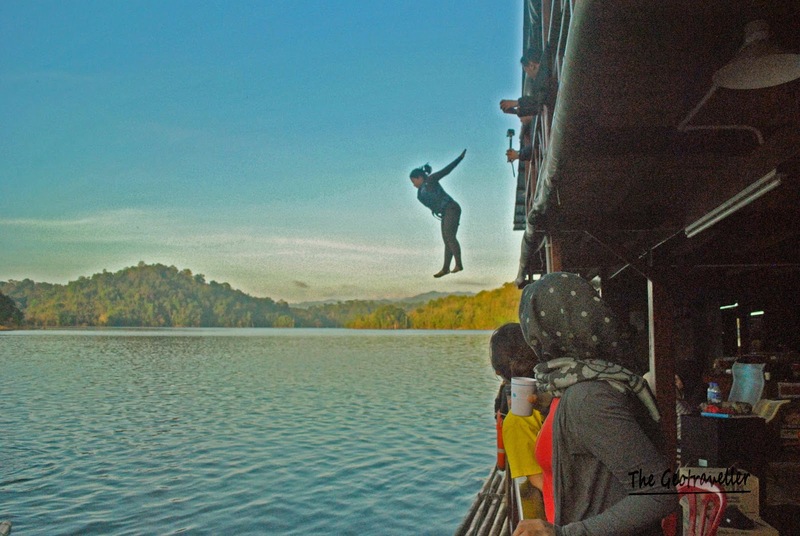 The boat anchored at the position and we began jumping into the water. They called it water confident test. 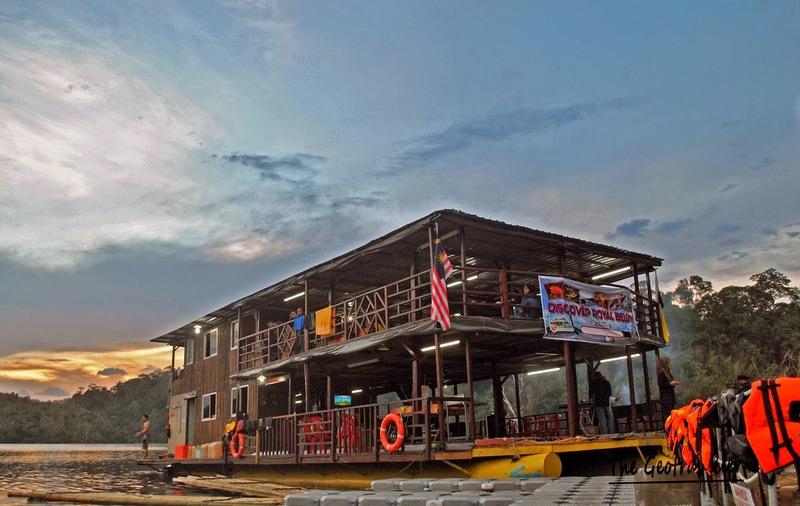 The most challenging one is to jump from the second floor of the boat. Nerve wrecking experience but I was glad I did it. Diving from the second floor. 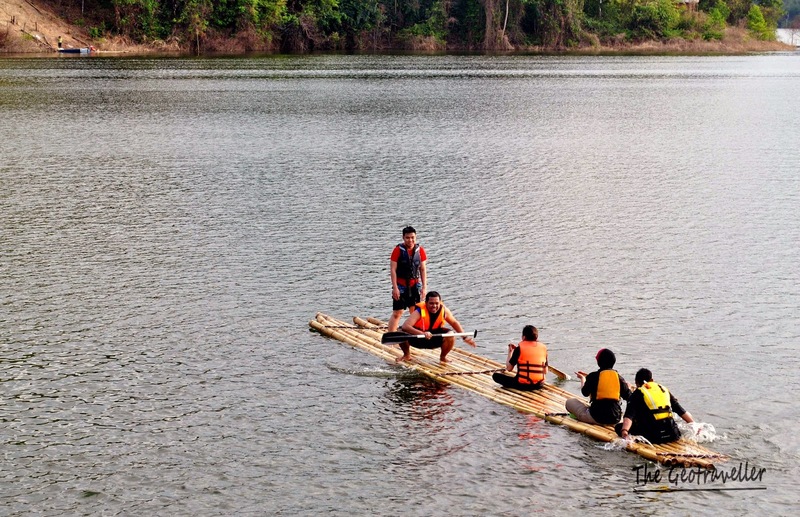 Another interesting activity was rafting on bamboo raft. 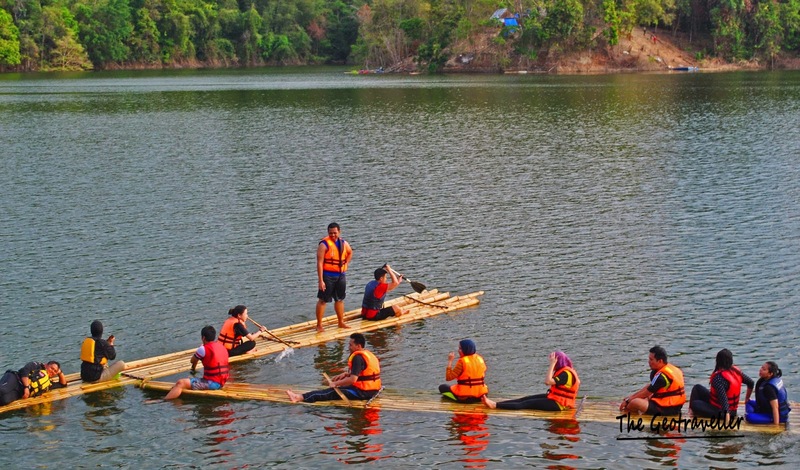 It was actually a tiring job to paddle the long raft. 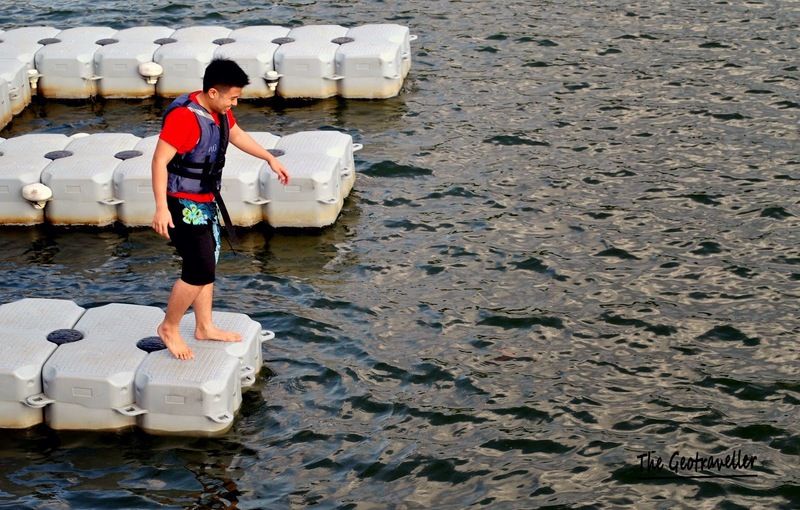 Yes, I stood throughout the paddling. As commander officer of course. After playing with water, we were treated with breath taking sunset. I took the opportunity to shower overlooking the sunset. Of course half naked. Awesome experience. The most quiet sunset I have ever experienced. After the sun set, we were treated by the boat owner with delicious dinner. It was really good! The night was really really really quiet. With no phone coverage, it felt really good to be far from technology. I did not once look at my phone except to take pictures for my instagram. I did not expect to experience the quietness here in Malaysia. I found that before in Wyoming and I found it now at Royal Belum. The next morning, some of the participants jumped into the lake. I did not want to be wet again, so I made use of it to take pictures of them jumping. Sunrise was tranquil and awesome. I wish I have a good camera to take photo with limited amount of lights. One of the participants took an amazing photo of milky way at 3am. He had watermarked the picture and I was too lazy to copy and ask permission. So, leave it to your imagination or come to witness yourself. On our way to the waterfall. After breakfast, the boat sailed to the waterfall location. Since the water level is high, we mostly travelled by speed boat instead of hiking for 30 minutes to the waterfall. How convenient. The waterfall. Sorry, I don’t remember the name. After lunch, we headed back to the jetty and drove back to Kuala Lumpur. Though feeling tired after the adventure, we were extremely happy and looking forward to return to this area. Maybe for more than 2 days 1 night trip. We paid about RM150 for this trip. Almost 50% discount from the organizer. For this amazing adventure, I am very satisfied with the price and all. Here is the link if you are interested and I highly recommend you guys to try. thank you! you should visit royal belum. It was awesome!